Our peoples, tribes, communities, organizations, and neighbourhoods see with rage and indignation how the bad government boasts its total lack of shame, through its political parties of every colour, as it continues to attack our peoples and its political parties continue trying to divide our communities. Our voice will not tire of denouncing and shouting, Enough! 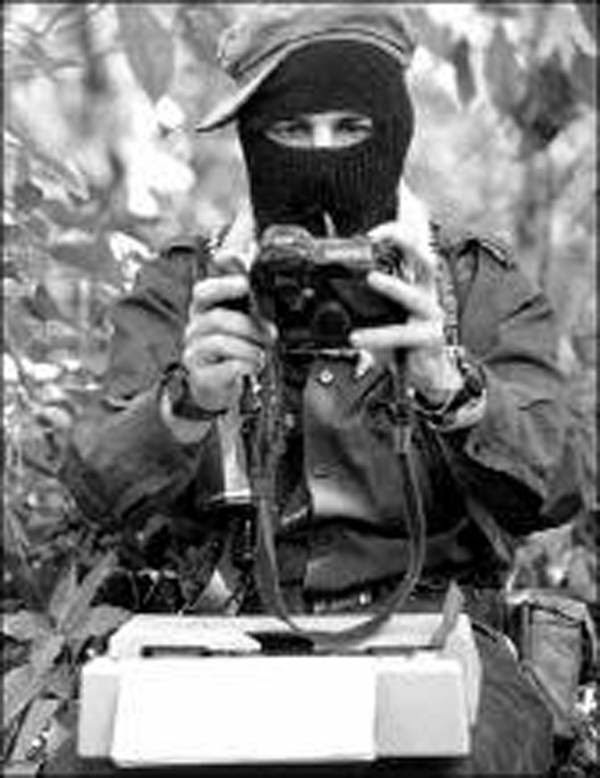 On May 14, brutally and shamelessly, the police and bodyguards of the PAN-PRD candidate Gloria Sánchez López dared to aim their murderous weapons at the dignified community of Álvaro Obregón, Juchitán, injuring the six compañeros who were in an assembly, defending their physical and political territory from deadly wind energy projects, whose “clean” energy is filthy with blood, corruption, and death. The candidates from all of the political parties—who even though they are only candidates feel they can already benefit from the impunity they are granted for belonging to the band of criminals badly governing the state of Oaxaca and the country—believe that with bullets they will manage to change the conscience and kill the dignity of the Binizza people. National politics makes it increasingly clear that the political class has no shame. They believe that they can attack, threaten and intimidate the dignified struggle of the people. With aggressions and violence they try to sow fear in the dignified hearts that defend the land, the water, and the wind. From the four cardinal directions of our indigenous territories we say to them: you cannot! You cannot stop the rage in our hearts from turning into solidarity; you cannot strip us of the dignity of struggling to defend our territories and the life of our peoples; you cannot intimidate the dignified struggle of the Binizza people, who have honored the National Indigenous Congress by being a member for many years now. Therefore, brothers and sisters of Álvaro Obregón, Juchitán, Oaxaca, from the four directions of our territories we say to you, you are not alone! You are not alone! We declare ourselves against the acts that the bad government of Mexico and Oaxaca, through their henchman Saúl Vicente Vázquez, municipal president of Juchitán, carry out against the rights to self-determination and autonomy of the people of Álvaro Obregón. We denounce that the cowardly aggressions made with firearms on May 14 and the ongoing threats. These are an attempt to intimidate the community of Álvaro Obregón, which opposes the installation of wind energy projects in their territory. The politicians get angry when they cannot make their profits by installing these projects of death and who believe that by intimidating the people they will be able to. They are mistaken! We hold the government of Gabino Cue and Saúl Vicente Vázquez responsible for the aggressions that have occurred and continue to occur against the assembly of the community of Álvaro Obregón, Juchitan, Oaxaca. We demand the investigation and punishment of those responsible for the shots fired by the municipal police of Juchitán and the bodyguards of Gloria Sánchez López. [We demand] the cancellation of the wind energy projects that they are trying to impose on the territory of the Álvaro Obregón community. We demand that Gloria Sánchez López and all of the candidates stop trying to impose their party system on the community of Álvaro Obregón. We demand that they respect the legitimate rights of the Binizza people to elect their own authorities in an autonomous manner. To the community of Álvaro Obregón, Juchitán, Oaxaca, we say, you are not alone; as the CNI we will be vigilant to make sure these events do not happen again and we will make our voice heard from every corner of our blood-soaked country. For the full reconstitution of our peoples!